jewelry house in 1979 and went through several rounds of development. 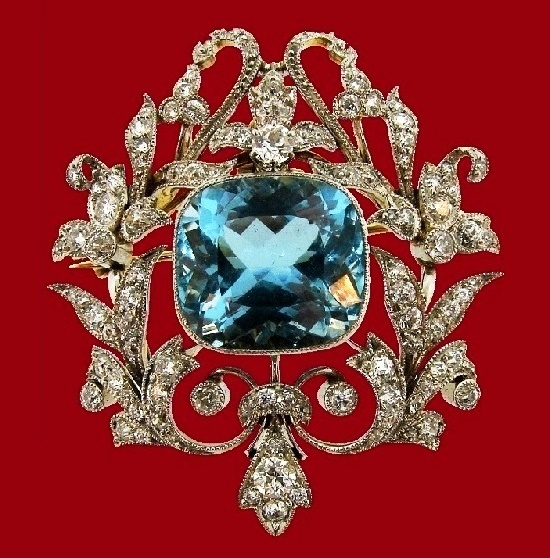 First, it was jewelry – filigree earrings and brooches, which he produced in limited series. Then, he designed home decor items and accessories of the highest quality and level. 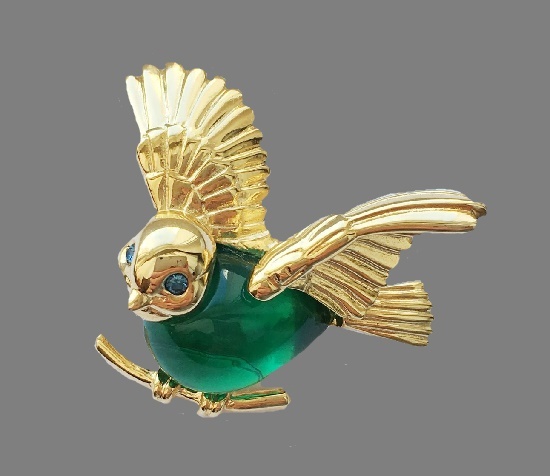 According to American designer Berebi, he found inspiration in the works of Faberge. Noteworthy, all products by Edgar Berebi – copyrighted works of art, performed exclusively by hand, by the master himself, from design to finishing. Everything in Japan has a deep meaning, even women’s jewelry. As the seasons change, human life flows, so do amazing kanzashi decorations. And each of them is not only a work of art, but also a part of female beauty, and a moment of her life. Traditionally, Japanese women’s costume did not allow jewelry on their hands or necklaces around their necks. Accordingly, the main decoration for more than 400 years has become the hairstyle! In fact, hair ornaments – the main way of self-expression and demonstration of wealth and status. 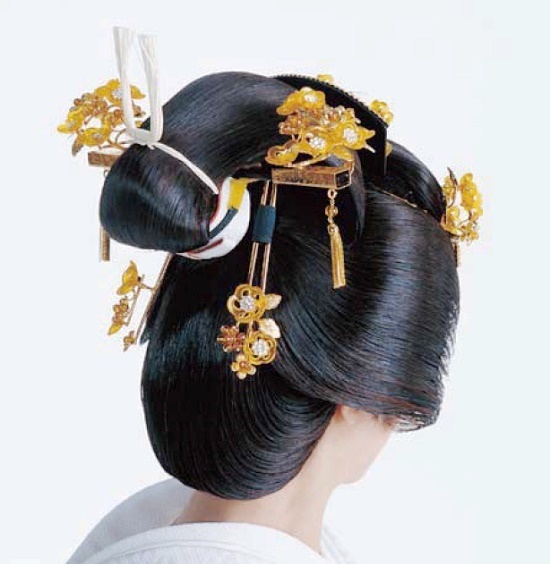 Real works of art, hair ornaments “kanzashi” with their variety in purpose and performance is worth a separate dictionary with descriptions. In particular, to figure out which piece of jewelry is for which lady, when and where you can wear it. A very special kind of jewelry that changes throughout the year is seasonal hana-kanzashi jewelry with garlands of flowers. Noteworthy, each of the 28 seasons of the Japanese calendar has its own flower! Of course, only the master of high-class can make such decorations using special varieties of silk. The history of this brand began in the early twentieth century, when an Armenian immigrant Rafaelian came to America and started a small jewelry business. His grandson, having worked in the jewelry firm of his sister’s husband for several years, opened his own jewelry company “Cinerama”. The great granddaughter of the first Rafaelian – Carolyn Rafaelian, also founded her own brand Alex & Ani. Noteworthy, she entered the Forbes list as the richest woman jeweler. Undoubtedly, fans of costume jewelery appreciate jewelry made by the Rafaelian family. A popular collectible decoration is the brooch in the form of the American flag, assembled from colored crystals. Rafaelian floral decorations, notable for their quality and interesting design, are equally popular. 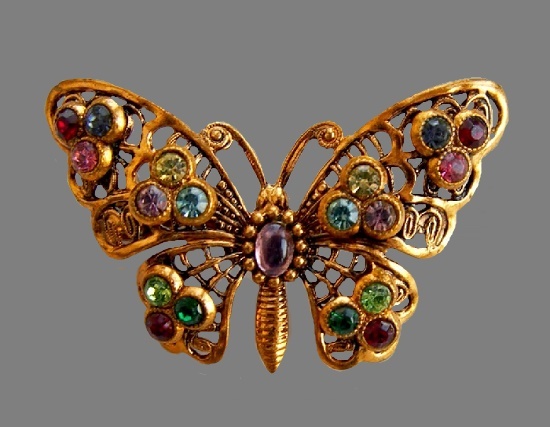 Known in the 70s in America, Rafaelian costume jewelry ceased to exist in the mid 80s. 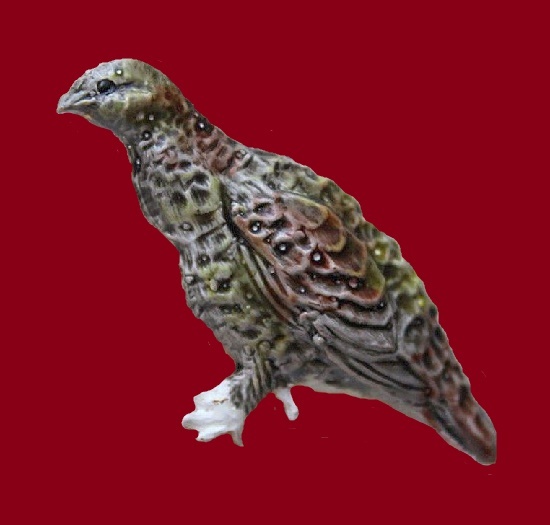 During its short activity, the company has released several series: patriotic jewelry, flower line, trees, birds of America, as well as fruits and berries. Born Hannah Golofsky 3 August 1923 in Brooklyn, Anna Klein has become synonymous with American style, and a pioneer in the fashion world. In the early 1940s, Hannah marries Ben Klein and takes the name of Anne Klein. In 1948, she and her husband opened the company Junior Sophisticates. And in 1968, Anna Klein together with her second husband Matthew Rubinstein founded the company “Anne Klein and Co” and “Anne Klein Studio design”. Suddenly, at the height of her success at the age of 50, Anna Klein died of breast cancer on March 19, 1974. For over 30 years, Anne Klein understood what women want very well. So, in the early 1970s, under her brand name, Anne Klein began producing watches and fashion jewelry. 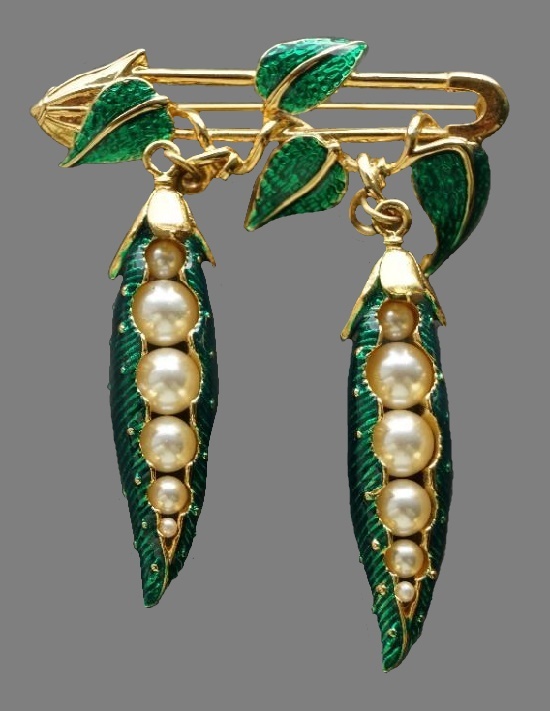 For creating high-quality jewelry for women in the classical style, she used matte and glossy metals, glass, rhinestones, cabochons and artificial pearls of the highest quality. Noteworthy, “Anne Klein” collaborated with such brands as “Erwin Pearl”, “Accessocraft”, and “Swank”. The logo “Anne Klein” is a lion, this particular symbol has become one of the most popular in the jewelry of this brand. Traditionally, Anne Klein jewelry has marks with the copyright sign “Anne Klein ©”, and “AK ©”. Also, used the tag with the company logo – the image of a lion. To date, vintage jewelry collectors don’t know for certain the name and exact location of the manufacturer of these decorations. The names of the designers, the composition of the alloys used, and much more remains a mystery. Every year the number of fans of these decorations is growing, while these decorations are becoming more difficult to find. Initially, for all the jewelry made in Germany before 1949, jewelers simply used “Germany” label. As we know, in 1949, Germany was divided into two parts, West and East Germany. Successful in the jewelry art, West German masters began signing their products “Western Germany” or “West Germany”, and sometimes “W. Germany”, or “Made in West Germany”. Meanwhile, Black, Starr & Frost jewelry collections reach prices from $ 1000 to $ 1 million and above. Noteworthy, in 2006, Molina Group acquired the company to continue the success of the glorious brand. As a result, the company has a reputation of the creator of high-quality jewelery with a modern, yet timeless design. The new owner also seeks to return this legendary company to the place it once occupied on top of Olympus of American luxury.